“...The participation of events like this – people like Howard Cross from the world of sports and people like Ken Fisher from the business community, who are really doing such great things to help members of the military, veterans and their families – bring the whole topic much more into the mainstream and gives us the ability to help the millions of people who desperately need the assistance…” ~~ Kevin Danehy,Chair MHA-NYC; Executive Chairman, Brookfield Global Relocation Services, Inc.
Photo below left, Richard “Big Daddy” Salgado, President of Coastal Advisors LLC interviewed on the red carpet of MHA-NYC "Where There is Help, There is Hope" Gala. 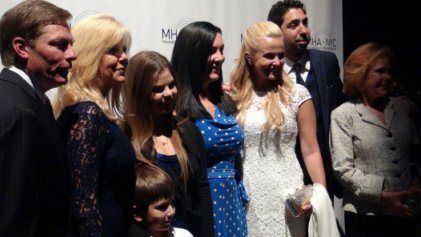 The "see what you missed video" montage of MHA-NYC “Where There is Help, There is Hope” Gala is here and in record-breaking time. Yay! Please visit often, bookmark this page and share with others. Thanks and enjoy! 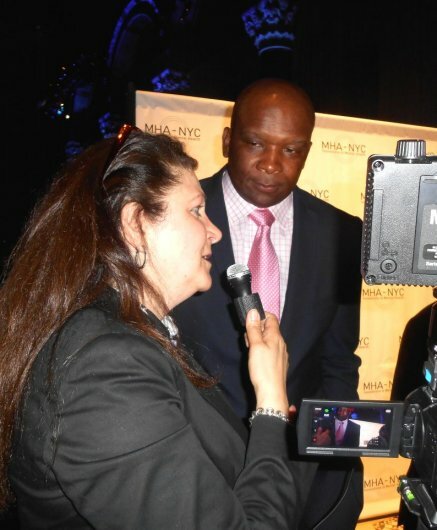 It was all kind hearts and gentle minds on Thursday, June 6, 2013, as guests gathered in New York City to attend MHA-NYC “Where There is Help, There is Hope” Gala hosted by Howard Cross, Former NY Giant Tight End, and Senior Vice President at Cresa NY. Because psychological wounds can be as painful and debilitating as the physical injuries sustained in war, the importance of mental well being of our nation’s veterans and military is crucial. 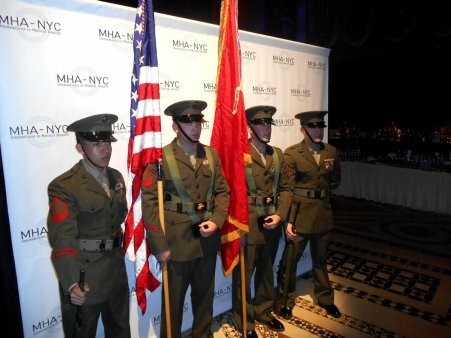 To serve America’s veterans, MHA-NYC has partnered with government to provide life-saving programs such as the National Suicide Prevention Lifeline and the Veterans’ Crisis Line. These lines respond to hundreds of thousands of calls for help each year. Honorable Eric K. Shinseki, U.S. Secretary of Veterans Affairs presented the Award to Gala Honoree, philanthropic leader, Kenneth Fisher, of Fisher Brothers, and founder of Fisher Houses, a network of 60 "homes away from home" for military families to be close to a loved one during hospitalization for an illness, disease or injury. The full house event was held at the spectacular, palatial, Cipriani at 42nd Street right in the heart of New York City. For those of you who weren’t able to attend this stellar event, this article will be updated regularly. Included will be a “see what you missed” video montage featuring highlights of the event and “One to One” interviews from the red carpet. 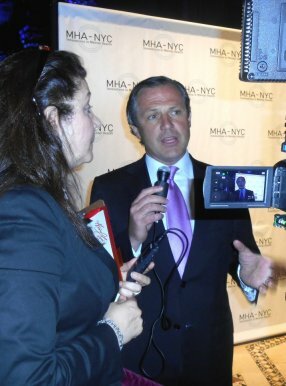 MHA-NYC – The Mental Health Association of New York City (MHA-NYC) is a not for profit organization that addresses mental health needs in New York City and across the nation. It is a local organization with national impact and has a three-part mission of services, advocacy and education. MHA-NYC identifies unmet needs and develops culturally sensitive programs to improve the lives of individuals and families affected by mental illness while promoting the importance of mental health. 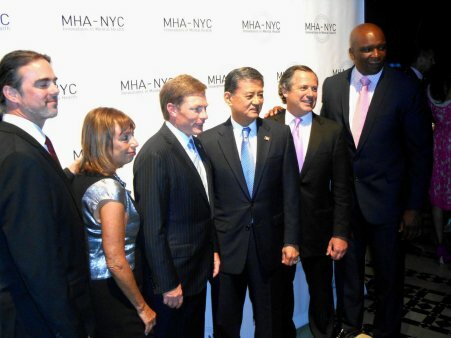 One in every five people will need mental health care during their lives; MHA-NYC is a resource to many families and individuals in New York City and throughout the country, serving as a link to mental health and wellness. 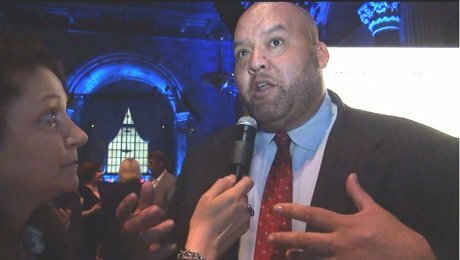 JGPR – James Grant Public Relations provides marketing, publicity, press and Celebrity Outreach for clients who are serious about strategizing and targeting mainstream media. The company currently has clients around the world based in New York City, Washington D.C., Los Angeles, Berlin, Aix-en-Provence, Mexico and other cities.